Park & Sun Outdoor Volleyball Nets – Best Sets Hands Down! When it comes to finding the best volleyball sets in the country, look no further then the Park & Sun line of volleyball net systems. Park & Sun Sports, based out of Englewood Colorado, is committed to manufacturing high quality and innovative outdoor, portable volleyball sets. For over 30 years they have set the standard for upper end volleyballs nets with its telescopic, aluminum poles that adjust to three playing heights and their original slip on sleeve net design. The three net heights include Men – 8’, Women – 7’4″, and Coed – 7’8″. You don’t need me to tell you how good they are. Take a look at the reviews on amazon for the Park & Sun Spectrum Classic Volleyball Set It’s available in 6 different colors with my favorite being the All American Red, White & Blue combination. It’s perfect for your outdoor barbecues for Memorial Day and the 4th of July. Made in the U.S.A of course! Park & Sun does not cut corners. Every piece of every volleyball net and volleyball system is well thought out and made to last. From the professional sleeve net to the easy-adjust guylines to the telescopic, aircraft-aluminum poles, Park & Sun delivers! You will not believe how easy and fast the set up is. Most set are fully assembled in under 5 minutes. Sets also include a storage bag, boundary lines (with convenient hand winder), volleyball, pump, and steel stakes. Chances are if you see a volleyball tournament happening in your area, they are using a volleyball set from Park & Sun Sports. 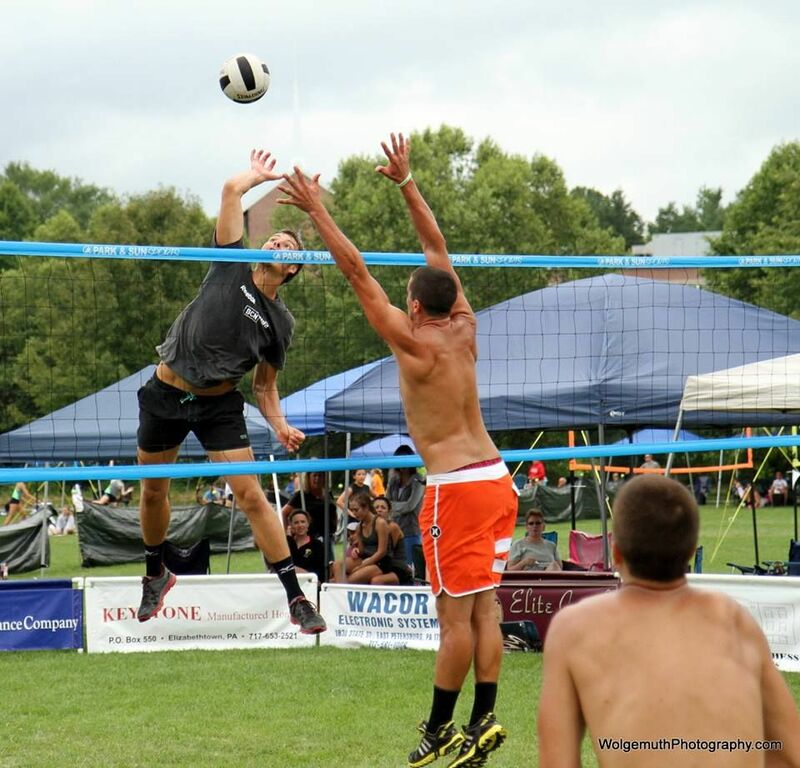 They are the official volleyball net supplier to some of the nation’s top volleyball tournaments and leagues: Emerald Coast Volleyball, Motherlode Volleyball Classic, Pottstown Rumble, United States Youth Volleyball League, Volleyball of the Rockies, Volley America, Waupaca Boatride Volleyball Tournament. You don’t have to pay $250 for a great set either. 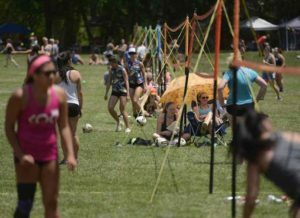 The Park & Sun Tournament Flex 1000 Volleyball Net is an excellent choice at about $160. There are many other choices from Park & Sun Sports; not just volleyball. Park & Sun manufacturers a variety of volleyball, pool volleyball, tetherball, bocce, pickleball, disc golf, foosball, sports goals, and more. For a complete list check out https://www.sportsunlimitedinc.com/park-sun-sports.html. Park & Sun Sports, American Made with quality and innovation for over 30 years. Author AdministratorPosted on May 25, 2018 May 30, 2018 Categories Games, HolidayTags outdoor games, outdoor volleyball nets, park & sun, sports unlimited, summer, summer 2018, Volleyball, volleyball netsLeave a comment on Park & Sun Outdoor Volleyball Nets – Best Sets Hands Down!